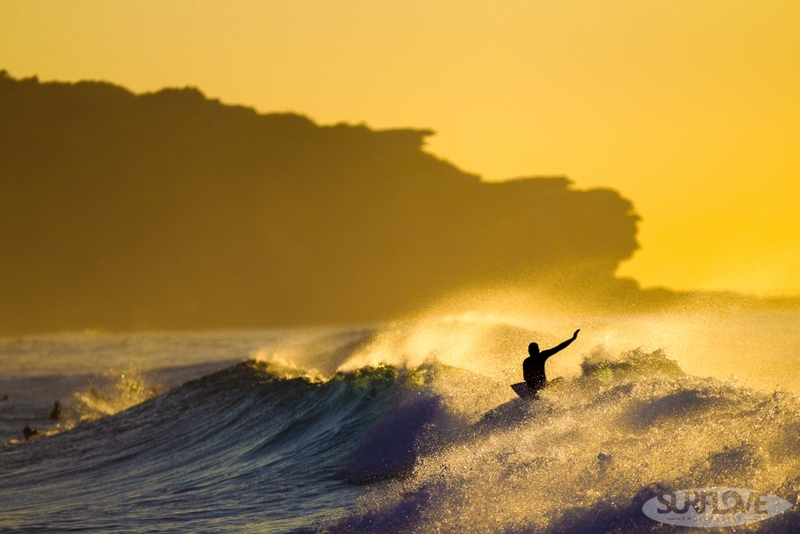 The feeling of surfer hitting the last turn into the sunlight before the wave closes out. It's a feeling only surfers really understand. To get this kind of shot it's important to be in the right spot, getting the sun right on the edge of the frame to create the contrast needed to create the silhouette. A long lens compresses everything really nicely and bring the background right into the shot. A low aperture allows to focus right on the subject. Focussing is the hardest part on shots like this. The sun isn't in your favour on this kind of shot.